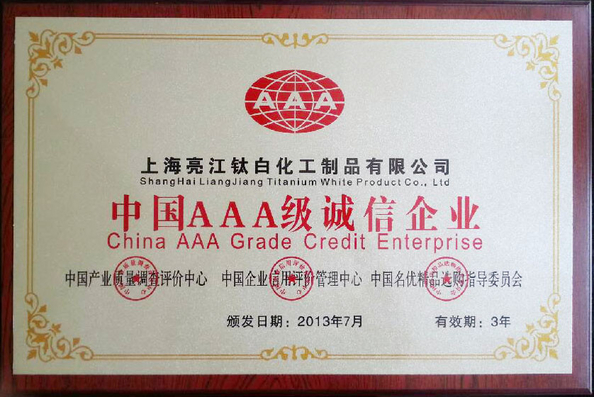 Shanghai Liangjiang Titanium white product Co., Ltd. was founded in 2000,as a large enterprises originally engaged in produce and process chemical raw materials,mainly the surface treatment of titanium dioxide (coated).After restructured to a diversified high-tech enterprise of produce and sale raw chemical material in 2006, we engaged in developing and produce powder materials. 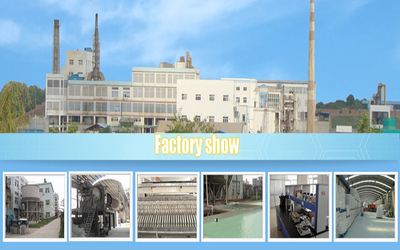 The company now consisting of five plants of Titanium Dioxide Factory, Barium Mines Factory, lithopone Factory,zinc products Factory, alumina Factory, "Liangjiang" as the brand, the main products are Titanium Dioxide , Barium Sulfate, Lithopone, Zinc Oxide, Alumina,Aluminum Hydroxide, Manganese Carbonate, Antimony Trioxide and others, totally more than 20 kinds. Professional technicanand manager with strong technical and scientific management of long period of accumulation and development let us achieved the advantage and market leadership of the industry. Liangjiang Chemical implement international management system and follow the philosophy that customer is the most important so that we can service customers better. 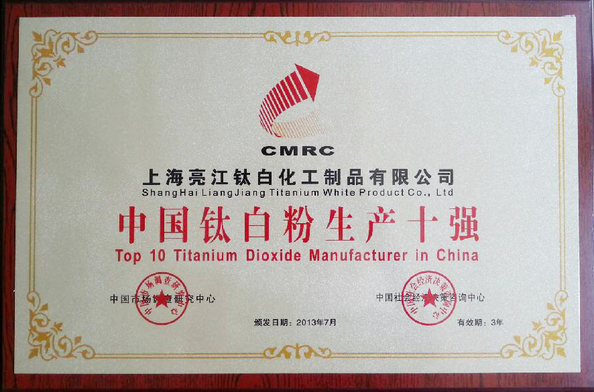 The company has passed ISO9001: 2000 international quality system certification, and to compliance with international environmental standards requirements, all products have reached the pollution requirements by the SGS heavy metal detection. Continuously improve product quality and increase brand construction strength and also consummate marketing channel, "Liangjiang" brand enjoy a high reputation both at home and abroad. 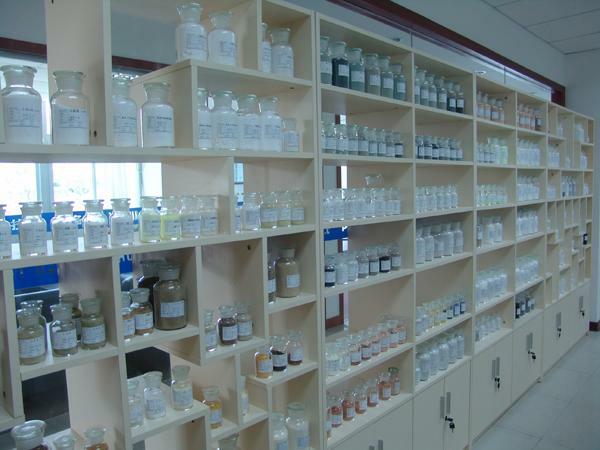 Liangjiang Chemical adhering to the "people-oriented, technological innovation "business philosophy, dedicated to develop and research fine chemical products. Raw materials of titanium dioxide from domestic and abroad and then surface coating treatment of silicon, aluminum, zinc, zirconium and other organic and inorganic so that the quality will be more better. Also the products have powerful dispersion, long-term weather resistance and excellent gloss after activation, modification and coating treatment so that the index and application performance can be comparable with the import products. After a significant reduction in the cost of raw materials, our improvement of the quality and reduction of the costs with advanced technology and environmental-friendly craftwork completely changed the situation that domestic high-grade titanium dioxide depend on import products. 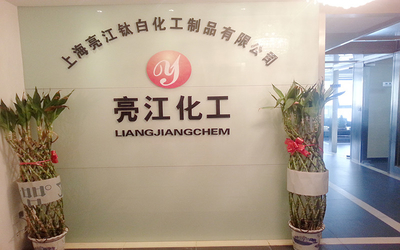 Liangjiang Chemical and embarked on rapid sustainable development and make unremitting efforts to create the make our products of first-class in domestic,internationally competitive and well-known company. 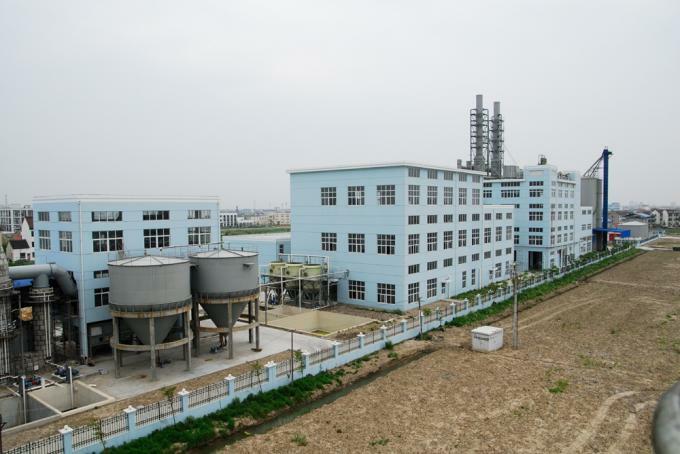 Through constant technological innovation and increasing brand management so as to build a normative powder chemicals company with high quality, great ability. Now the marketing channel has covered all China's provinces, more than 60% of the products are exported to Europe, America, Southeast Asia and other regions, and established long-term stable cooperative relations with the world top 500 enterprises. Business philosophy: first-class quality, first-class service. Quality Management: we develop a complete quality control system of the whole process of the manufacturing, inspection, shipping, customer service. We create high-quality products by rigorous scientific management system and modern industrial equipment with advanced professional staff. constantly strive to research and development of supplying first-class products. The mainland as the center, popular in Taiwan, Hong Kong, South Korea, Japan, Italy, Southeast Asia, North America and other countries and regions. Research and development: to create high-quality products, we established specialized research institute with the latest technology equipment and excellent talent so that we lay a solid foundation for future long-term development and production. Customer Service: we combined the production, marketing, research and development and other departments as an organic system to ensure that we can meet the needs of customers, to develop new products with customers, achieve our "first-class service". 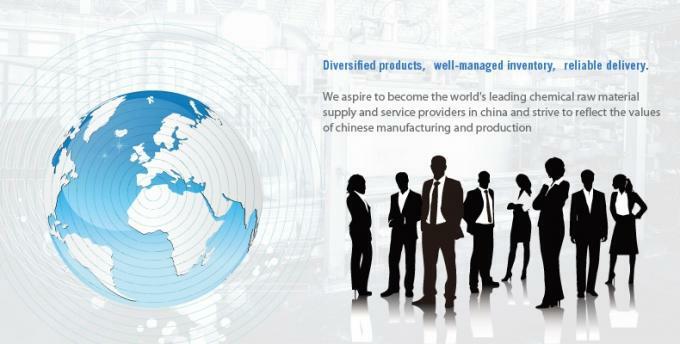 a large diversification enterprise with Production, processing,trade,import and export. quickly confirmed, and widely exported into the world. in French, the quantity was 300MT per month. Because of the financial storms, it was a serious test for us as a new company. 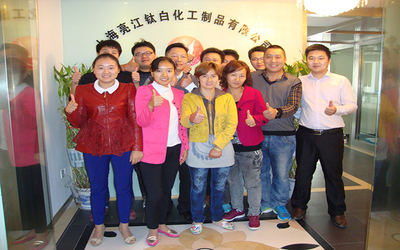 to maintain the existing customers, together with our customers. In March, We moved into Wanda Plaza office. In May, we launched the new product lines of titanium dioxide. production enterprises with diversified and independent innovation. our total sales amount reached RMB 300 million. 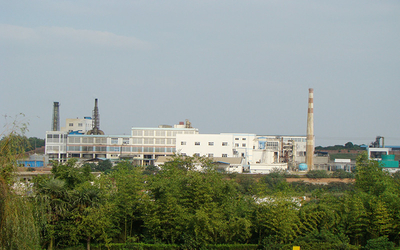 center in china, the industrial quality research center in china. calcium, barium and special organic matter. Type No. R920 R1930 R803 R804. China and to serve the customers all over the world. what they want to or they never think! the best samples and goods to the clients at faster speed! raw materials, show our value of the products made in China! commit to the team's objectives. flexibility,continue to innovate and adapt to new business conditions and practice. integrity and to deliver on their commitments. customers or developing new services and products. and delivering on the needs of Chinese and global SMEs.